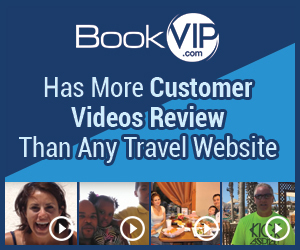 BOOKVIP.COM is everything people say they are. The customer service is terrible. You can't understand the people who tries and set up your reservations. They will take your money and leave you hanging. I strongly recommend you not to deal with these people. SCAMMMM!!!!! I booked online with them and when I called to confirm my reservation they didn't have any information on me. They charged my credit card and said I had free cancellation. NOT TRUE... The supervisors are as worst as the sales representatives. I am very surprise this company is still open. Parents spend the extra money to make sure your family is not homeless during your vacation. Review #606034 is a subjective opinion of User606034.